Aged for 12 months in French oak casks and then for 4 months in the bottle, keeps a distinctive characther of red fruits and silky tannins that balance in harmony. Served at 16-18 °C. Complex aroma of red fruits, and spices like pepper, nutmeg, herbs and vanilla. Full body, sweet tannins and long aftertaste. 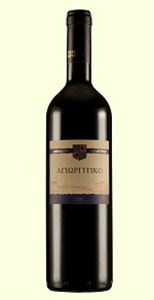 This wine comes from the famous, ancient Greek variety Agiorgitiko (known also as “Black Nemea”). Aged for 16 months in oak casks, it is best served with red sauces or pasta at 16-17 °C. Classic red vinification lasting 6 days. Seasoned with three different techniques for 12 months in 40% French oak barrels of 225 liters, 30% in tank and 30% in French oak barrel of 4 tonnes. 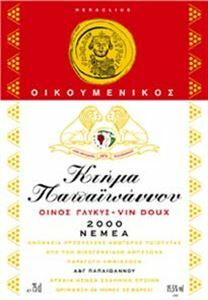 Ampeloeis Gold won the silver medal in the 10th and the 11th Thessaloniki International Wine Competition in 2010 and 2011 respectively. 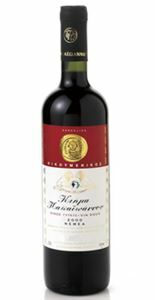 It won a silver medal (OINOTHIKI 2011), and it has distinctive complexity and charming finish. With hints of vanilla and soft tannins, is perfect when enjoyed with roasts, stews, meat and yellow cheese. Purple colour, aromas of red fruits, subtle notes of vanilla, long finish. Won amongst else a Silver Medal OINOTHIKI 2011. Perfectly good with red meats, game and spicy cheeses. Dark with crimson hues, complex bouquet of dried fruit, full mouth with silky tannins, long finish. Won amongst else a Silver Medal OINOTHIKI 2011. Perfectly good with red meats, game and spicy cheeses. Aged, with hints of blueberry and blackcurrant, intense tannins, great body and balance. Spicy aroma with cinnamon, cloves, pepper and licorice, tasty cherry and prune notes. Lantidis Nemea rested for 14 months sharp in oak barrels from the forests of Allier (France) and of Caucasus. Able to age in cellar conditions up to 6 years. Gentle perfumes of spice, vanilla and ripe red fruit dominated by sour cherry. Mouth-balanced, well-structured frame with wonderful fruit, gentle tannins and pleasant acidity that promises a good evolution in the background of the oak barrel. Able to age in cellar conditions up to 6 years. Complex aromas of red fruit, nuts, honey, chocolate, cedar, vanilla and spices.